Earliest check in is 6.00am. Latest check in is 11.00pm. We kindly ask that you check out by 10.00am. NB. Maximum of 4 persons per pitch. For group bookings of more than 4 persons (including children & infants), please book more than one pitch. 1	The lead party name (‘‘the applicant’’) which appears on the booking email acknowledgement agrees to the terms and conditions on behalf of all other persons in the booking as if they were contracting parties. 2	The applicant undertakes not to do on their own part or permit to be done by persons under their control, anything which may in the opinion of the management be or become a nuisance or annoyance which shall in any way interfere with the quiet or general comfort of other guests at the site. 3	When booking via the website it is your responsibility to enter and check that your pitch details are correct. 4	All booking fees to be paid in full at time of booking. If notice of cancellation is given 28 days before arrival the full fee less £40 to cover costs will be returned. No refund will be given on bookings valued under £40. In the event of any amendments whatsoever being made to a booking there will be an administration charge of £15. No amendments can be made to camping holiday dates within 28 days prior to arrival. Bookings are non transferable. 5	All arrivals must register at reception before siting tents and the latest arrival time is 9pm unless by prior arrangement. You are required to enter your estimated arrival time during the booking process. Visitors can expect to arrive at the site approximately 45 minutes after the ferry docking time. 6	Pitch Hire is from 2pm on day of arrival until 11am on day of departure. 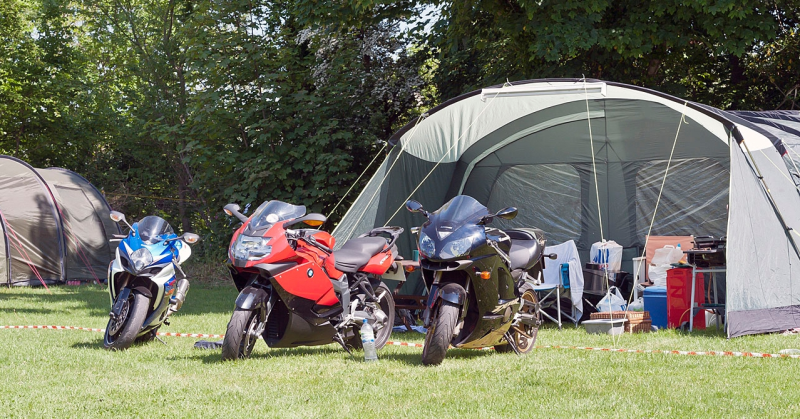 7	We reserve the right to refuse any tent that doesn’t conform to our pitch size (6m x 6m) or charge you for an additional pitch for the duration of your stay. 8	The catering, entertainment and bar facilities will be available during TT Festival, and Southern 100. If you are staying on dates outside of this then only toilets, showers and water may be available. 9	Weather. Due to adverse weather conditions if we have to cancel a booking a full refund will be given under the above circumstances but no compensation will be given. 10	Castletown MFC nor its servants or agents can accept liability for any death or personal injury, loss or damage which may be sustained by the applicant or their property during the period they or any of them are at the camp site except where it arises from the negligence of the club, its servants or agents. 11	No complaint will be considered AFTER the visitor has left the campsite. Any problems should be reported to reception as soon as possible in order so they can be resolved. 12	While every care is taken to ensure that the details shown on the website are correct we cannot accept responsibility for errors contained therein or as the results thereof. We reserve the right to alter or amend our terms, conditions and facilities without notice. 13	FORCE MAJEURE. We cannot accept responsibility or pay any compensation where the performance or prompt performance of our contract with you is prevented or affected by reason or circumstance, which amount to “Force Majeure”. Circumstances amounting to “Force Majeure” include any event which we could not, even with all due care, foresee or avoid. Such circumstances include the destruction or damage of your tent on our campsite through fire, flood, explosion, storm or other weather damage, break-in, criminal damage or any similar event beyond our control. Such circumstances also include riots or civil strife, industrial action, natural or nuclear disaster, fire, adverse weather conditions, war, threat of war, actual or threatened terrorist activity and all similar situations beyond our or the owners controls. •	This is a quiet and friendly camp site and we are determined to keep it that way. •	Music to be off by 10pm. •	NO FIREWORKS. Anyone found in possession of fireworks will be immediately escorted off the camp site. •	If anyone is found causing deliberate disturbance or disruption to others during their stay at our camp site they will be immediately escorted off the camp site. •	No campfires or BBQs. •	We will not be responsible for any loss, damage or injury to property and persons etc during your stay at the camp site. •	We may take pictures for publicity purposes. •	Amenities may be changed at the discretion of camp site management team. 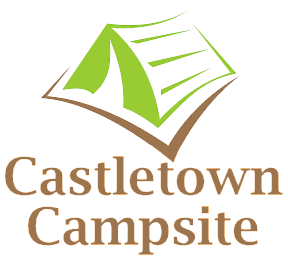 Castletown Campsite Terms & Conditions - May 2017.